Cheetahs can change gears while running. They also take longer strides than greyhounds. Cheetahs and greyhounds have very similar running styles, but somehow the big cats leave their doggy rivals in the dust. Their secret: Cheetahs “switch gears” while running, striding more frequently at higher speeds, new research finds. 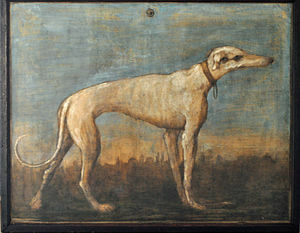 Greyhounds, on the other hand, seem to take the same number of strides per second at every speed. “Cheetahs and greyhounds are known to use a rotary gallop, and physically they are remarkably similar, yet there is this bewitching difference in maximum speed of almost a factor of 2,” study researcher Alan Wilson, from the Royal Veterinary College in the United Kingdom, said in a statement. The cheetahs being studied didn’t come close to the speeds reported for wild cheetahs — the zoo animals reached 38 mph (61 kph), while the greyhounds topped out at 43 mph (68 kph). The researchers said this was probably because the captive-born cheetahs have never really gotten the chance to let loose in the wild and run (a tutto gas, a manetta). The researchers did find a few differences, however; for instance, the cheetah’s stride was slightly longer than the greyhound’s. HOWSTUFFWORKS: What makes a cheetah run so fast? The study was published on June 21, 2012 in the Journal of Experimental Biology.